*This interactive page features details on all attempted or successful thefts reported to us from across the state. F.R. Aleman - On Palmetto Expressway just north of Gratiny Blvd. Suspects arrived in two vehicles, a Black Land Rover and Brown Nissan Altima, and forcefully accosted the crew and took a Leica GS14 (SN: 3487140) and data collector GS15 (SN: 2537259). Suspects were four black males in full black head masks. Langan Engineering - At corner of NE 64th Terrace & NE 7th Avenue. "One person crew working in sight of construction sight most of day. After stowing equipment out of sight under rear seats, crew returned to site and parked truck to use restroom. Crew returned to the truck within 5 minutes. Rear window had been smashed and equipment stolen: Leica TS-13 (SN#3214408), GS-18 (SN#3601021), & CS20 (SN#2427179). Backpack containing laptop and phone also stolen. Total value approx. 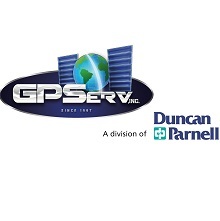 $38,860"
Dean Surveying & Mapping - Spectra SP60 rover stolen at 333 SQ 4th Avenue in Boca. Taken from unlocked van on work site when backs were momentarily turned to the vehicle. 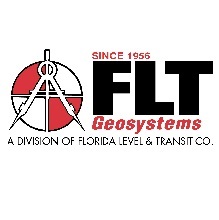 Level-Tech Surveyors - GPS stolen near SW 8th Street and SW 32nd Avenue in Miami. Carlson (Hemisphere) Model BRx5 S320; SN: B1813-01475-01-046A. 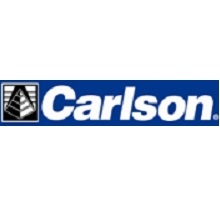 Has "Hemisphere" on side instead of "Carlson". Mathews Consulting - Trimble Robotic stolen at intersection of Oakland Park Boulevard & NW 90th Avenue. CPC Engineering - Leica TS12 Total Station, Leica GS14 GPS, and Leica CS15 Data Collector/Controller stolen. "Our Orlando office had a field crew working down here in Hialeah, that was robbed late yesterday. At this time another PSM at that office is getting the info from the field crew, handling the Theft form, insurance, etc…I was told that when the crew tried to go after them, a gun was shown out of a window, so they stopped pursuit. Crew did call the police and we are waiting on report."